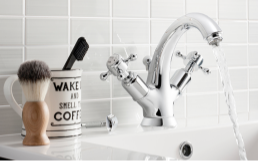 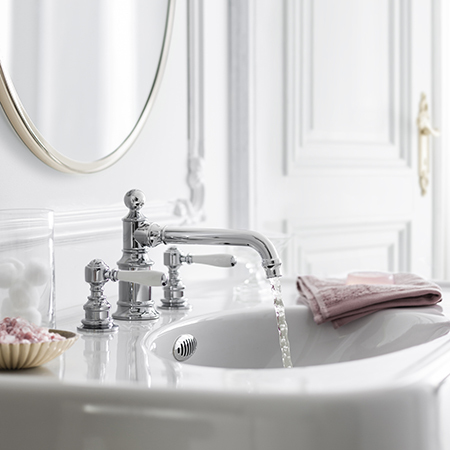 Exquisite fittings and ceramics of strong form and graceful lines tell a story of refined elegance. 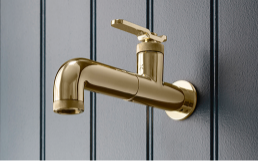 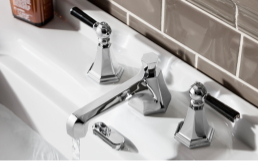 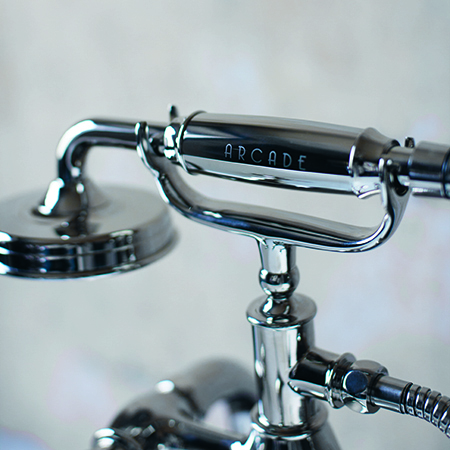 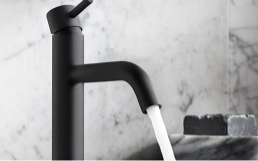 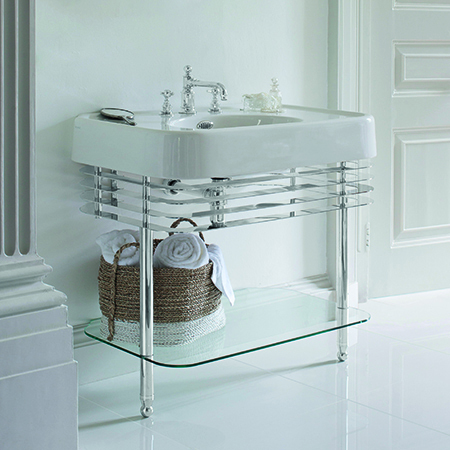 State-of-the-art craftsmanship combines with Belle Époque styling to create masterpiece bath fittings and fixtures for a truly unique decor. 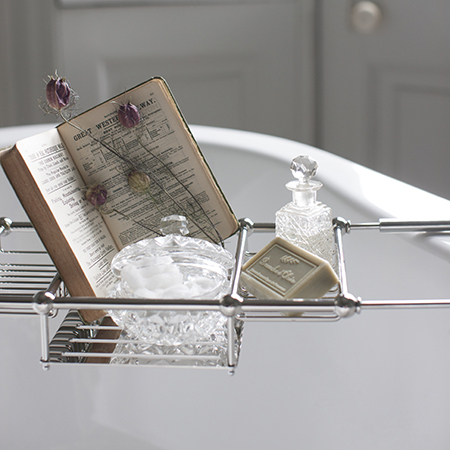 Crafted from a genuine Pashley Princess bicycle, this unique and statement-making piece is topped with a wall-mounted Walnut shelf (instead of a leather seat) and complete with a Pashley bell and wicker basket, perfect for storing hand towels.